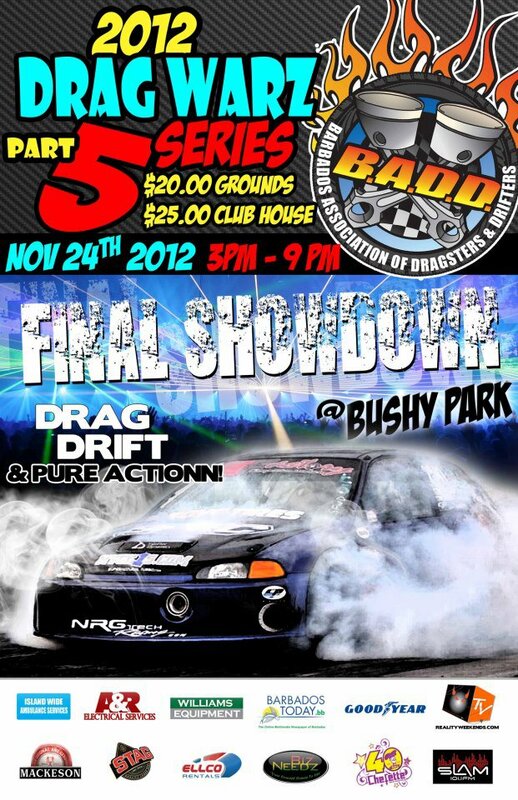 Can’t believe the time is here already for the B.A.D.D’s fifth installment in their drag racing series. It has been a fun filled year of racing, even though there were some ups and downs along the way but from the way plans are shaping up for this event, it may very well be the best one in the series to date. Unlike the previously held Drag Warz events, part 5 will show a change in the usual format of racing. Race director, Adrian Linton has changed up the program to allow for a more exciting set of racing, there will be an added extended grudge match session as well as a never before seen all-out FWD, RWD and 4WD title classes to add to the day’s The event which is titled “Drag Warz Part 5 Final Showdown” will take place on Saturday 24th November, the event will be held once again at the Bushy Park race track from 3pm until 9pm. That’s about it for now, hope to see you there. Stay tuned for our coverage after the event.